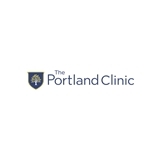 The Portland Clinic - Neurology (Portland) - Book Appointment Online! I spent 20 yrs searching for answers pertaining to my decline in health. I visited Dr. Brasseur & he was so knowledgeable, within a week I felt comfortable w/ him & his nurse and was given a diagnosis soon after. Dr. Brasseur & his nurse Linda are unlike any specialists I've seen. They take time to listen, understand & then diagnose. Because of these 2 my health is better & I'm hopeful to be headed for remission. Grateful. Highly recommend. An office with a support like this is hard to come by.